Bukhara, No. 107 (Memorial Volume for Chahryar Adle). Tehran. 2015.- Via Ehsan Shavarebi. 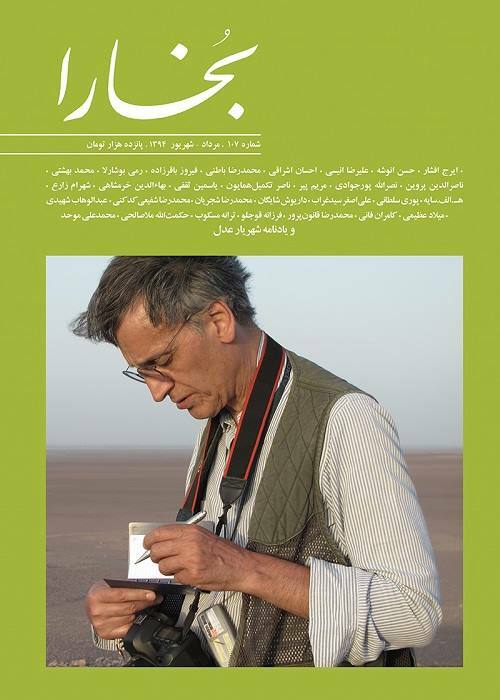 The 107th issue of Bukhara Magazine (July-August 2015) is dedicated to the memory of the late Professor Chahryar Adle (1944-2015). Chahryar Adle, Iranian archaeologist specialised in art and architecture of Iran and Central Asia during the Islamic period, passed away in Paris on 21 June. This volume, edited by Ali Dehbashi, includes more than 50 papers in memory of the late Prof. Adle, by such scholars as Firouz Bagherzadeh, Mahmoud Mousavi, Rémy Boucharlat, Carlo G. Cereti, Marie-Christine David, Hekmatollah Mollasalehi, Ehsan Eshraghi, Rajab-Ali Labbaf-Khaniki, Ali Mousavi, Mehrdad Malekzadeh, Nader Nasiri-Moghaddam, Shahram Zare, Mohammad Taghi Ataee, Ehsan Shavarebi, etc. Also several papers and interviews of Prof. Adle are republished in this volume. The volume is in Persian and consists of 513 pages.